The war memorial has been cleaned, and stone sets laid. 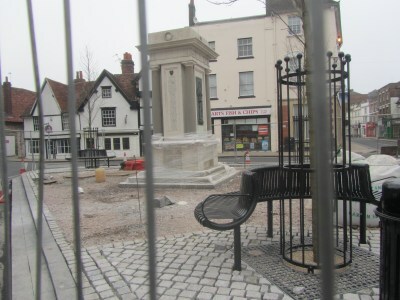 The trees and seats look similar to those in the Market Place at the other end of the High Street. The same architect has been involved with both projects. 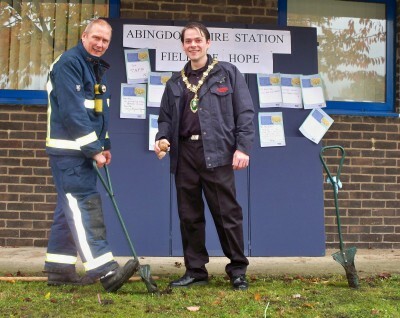 Back in November daffodil bulbs were planted to remember a former colleague of the firemen – a welshman – hence the daffs – who had recently lost his battle against cancer. The idea then blossomed into making it a “Field of Hope” ,asking everyone who has been touched by cancer to be involved. 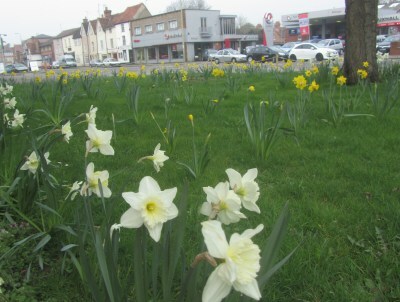 They did not come all at once as happens in some of the town’s daffodil displays. The ones round the tree and at the back came first. 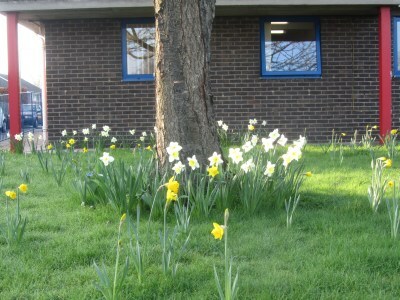 Those in open ground followed a week or so after, but now all are in bloom. 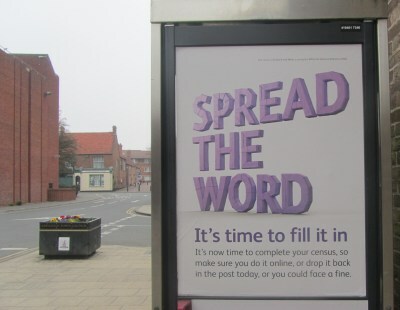 Today was the day of the census, Sunday 27th March 2011. The clocks also went forward and evenings are now longer…. 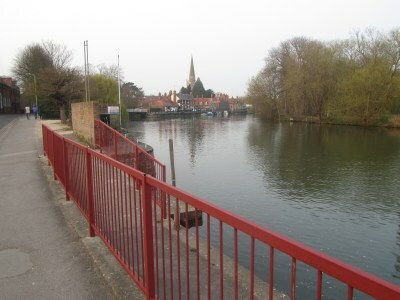 Some people doing Community Payback started painting the railing along Wilsham Road. Don’t worry! That is the undercoat. Black paint will follow. At the Brewery Tap, the Beer, Cider, Music & Sausage festival had mostly run out of Beer, Cider, and Sausages but there was lots of music. At Trinity Church people paid £7.50 each to take part in what was called a ‘Big Sing’ to raise money for Christian Aid. It went on for about three hours with a coffee break in the middle. Most of the people seemed to be keen, proficient singers. I recorded one typical song. 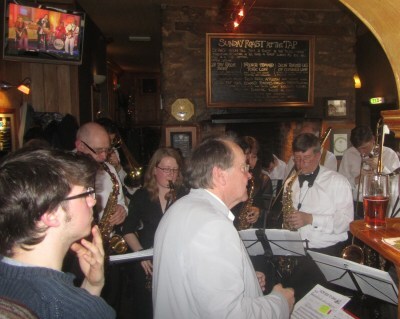 After a practise of this song the people were split into groups and did it as a 4 part round.